Community Spotlight week 3: WINNER! If you want to find out the results and participate in the poll, click here! 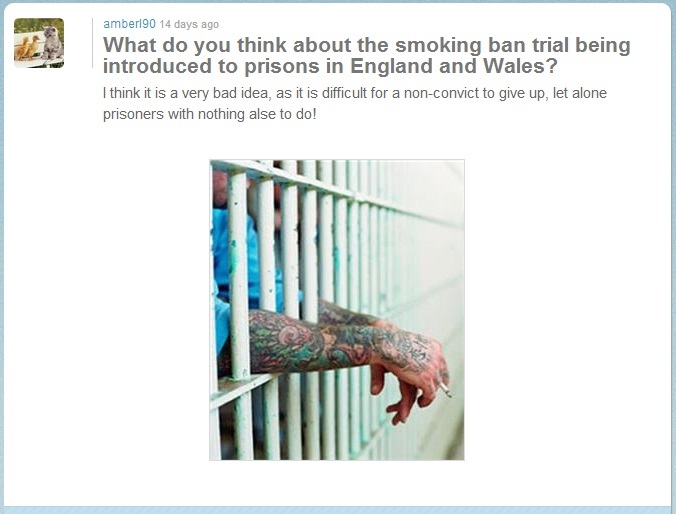 Smoking is a big issues in prisons, causing inmates to trade tobacco for other things, so the ban on this could prevent internal crime, but also may cause the inmates fury. If you want to get involved and win 5,000 points for the content you create, please leave your links for us to have a look at. Next week’s winner will be announced on Monday 7th October.